The story of baby Jesus and the Virgin Mary is a very traditional story that is told to younger children and is especially popular around the Christmas period! 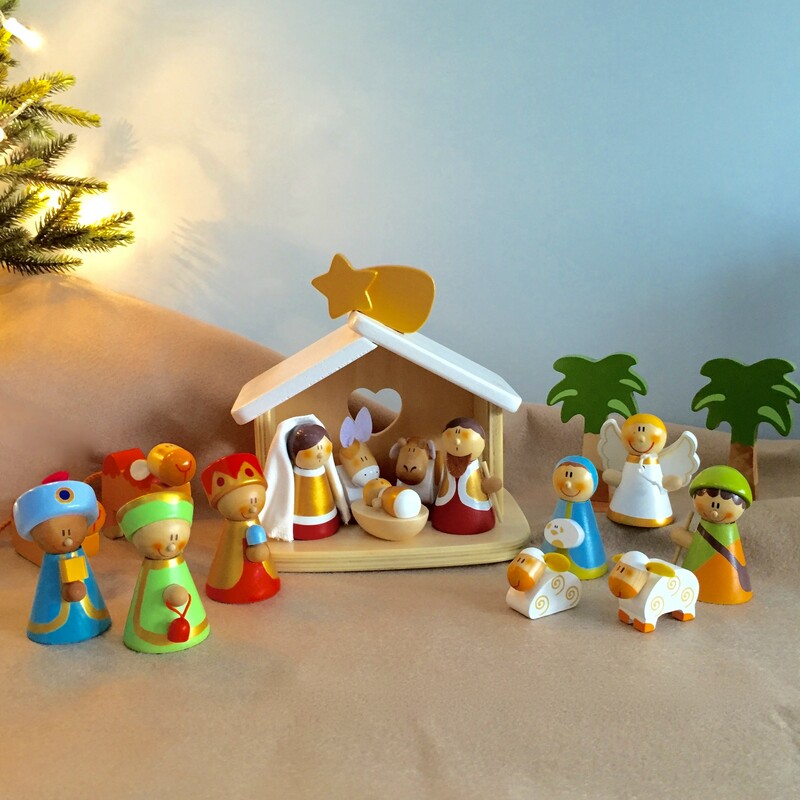 So why not create your own special night on Christmas Eve with this classical Nativity Set. This wooden nativity scene comes complete with Mary, Joseph, Jesus and stable with star. It also comes with wise men, shepherds, six animals, palm trees and the angel Gabriel.